The audience was shown a trailer for the new movie. This is the same trailer that was previously released. Tapping revealed that they are currently filming on the eighth of 13 episodes of her new series Sanctuary. Judge said he’s working on a new project and he’ll announce it in the near future. Wright said that there will be another Stargate DVD movie and that it “looks good” for the Stargate Universe series. They played a memorial to deceased actor Don S. Davis. 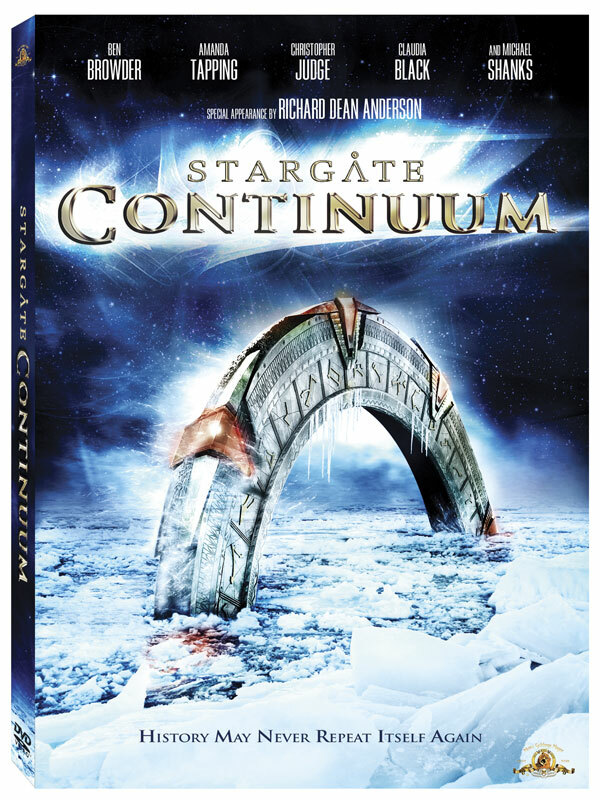 Stargate Continuum hits DVD and Blu-ray Hi-Def on Tuesday, July 29th. Buy it now (DVD or Blu-ray).